Home Hostel Plovdiv i Plovdiv, Bulgaria: Bestill nå! 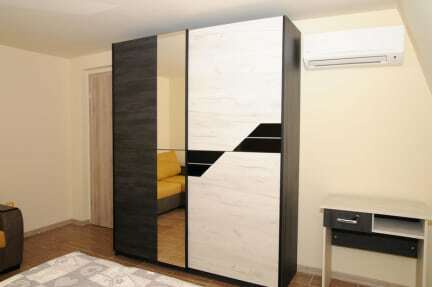 Home Hostel Plovdiv offers air-conditionaired rooms in city Plovdiv. A flat-screen TV with cable channels is provided. There is a shared kitchen at the property. International Fair Plovdiv is 1.3 km from Home Hostel Plovdiv, while Plovdiv Municipality is 200 m away. Nearby: shopping centers, restaurants, bar, tourism attractions, & parks. Hostel and consists of seven rooms of all different type single, twin with twin beds, double, triple consisting of double bed and sofa bed, quadruple consisting of double bed and double sofa bed, double rooms have air conditioning and flat screen cable TV. 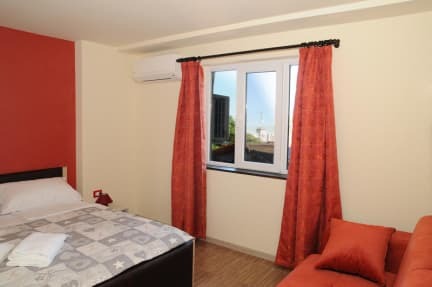 All rooms are fitted with a large bedside cabinet wardrobe, communal common kitchenette with cable TV, two shared man-woman bathrooms, daily cleaning.